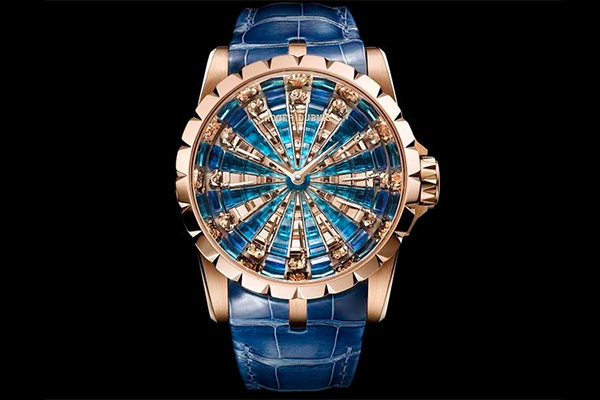 Swiss luxury watchmaker Roger Dubuis has unveiled the Excalibur Knights of the Round Table III hyperwatch, inspired by the fabled island of Avalon, regarded as the place where the mighty sword was forged. Originally used for making 3D models and scenes for videogames, low poly art is a technique in which polygonal facets are used to create sculptures or paintings. It is increasingly popular due to its render speed achieved thanks to low polygonal resolution. Ensuring both precision and reliability, self-winding Calibre RD 821 – an exclusive in-house movement such as those equipping all Roger Dubuis timepieces – drives the hour and minute functions while delivering a 48-hour power reserve.